Dr Shanu Gambhir is an Australian trained Neurosurgeon and Spine surgeon. He specialises in minimally invasive (key hole) surgery, endoscopic surgery, complex spinal and cranial surgery. He practices a minimalistic approach to ensure the best patient outcomes. 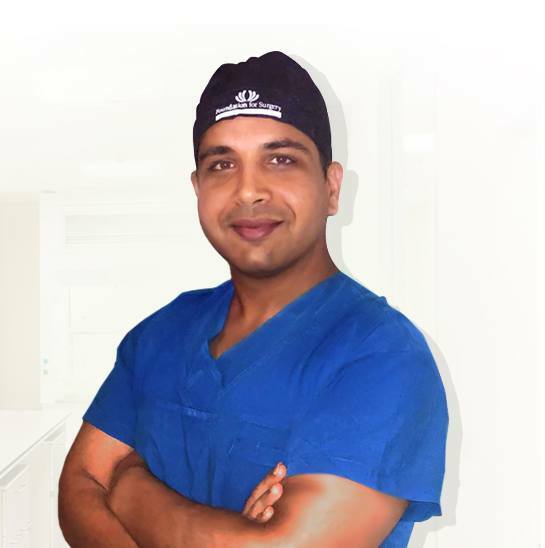 Dr Gambhir completed his advanced training in Neurosurgery through the Royal Australasian College of Surgeon (RACS) at major tertiary hospitals in Australia – Royal North Shore Hospital, St. George Hospital, St. Vincent’s Hospital, Westmead Public Hospital and Christchurch Hospital in New Zealand. He is a Fellow of the Royal Australasian College of Surgeons(RACS), member of the Neurosurgical Society of Australasia (NSA) and Australian Medical Association (AMA). He completed his undergraduate medical degree at the university of Otago in New Zealand and a Masters of Surgery in Neurosurgery (MS) at The University of Sydney. He is actively involved in research as well as teaching.